"Butterflies, zebras and moonbeams and a fairy tale. That's all she ever thinks about. 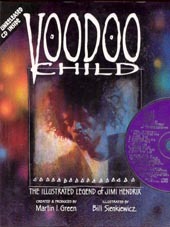 Ridin' with the wind"
This rare CD was only available in a book titled "Voodoo Child: The Illustrated Legend of Jimi Hendrix" (pictured below) by Martin I. Green and Bill Sienkiewicz. 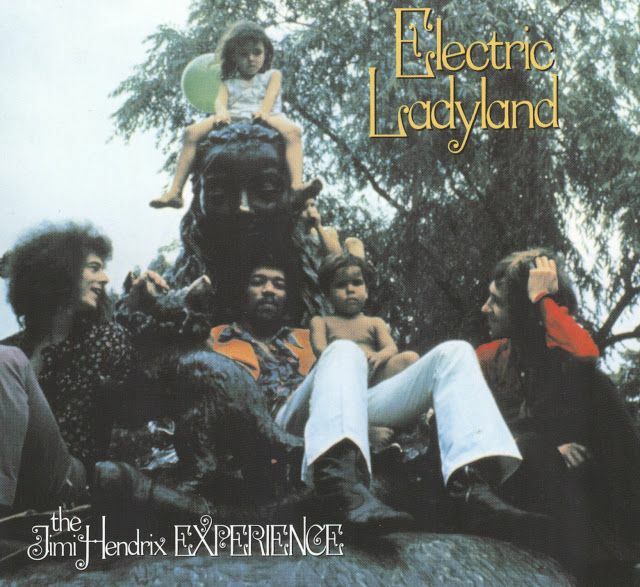 Thought to have been recorded in April 1968 in a New York hotel room (The Drake Hotel), the recording features Jimi alone going through some ideas on electric guitar. These fascinating recordings really merit a re-release in some form or other (on Dagger ?). It really is a privilege to sit next to Jimi and listen to him explore new ideas. 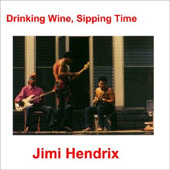 The version of "1983" is just beautiful and Jimi's "Angel" stayed just long enough for afternoon tea. 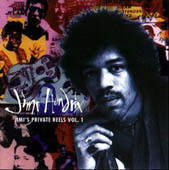 > The track "Angel", along with more rare recordings from Jimi's personnal tape machine, turned up in 2010 on the "West Coast Seattle Boy" box set (see below). That song was also featured on Lifelines in the early 90s. I recently bought this book and I thoroughly recommend it. 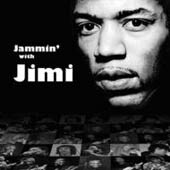 Very well researched, it presents the story of his life, portrayed totally in illustrations by Bill Sienkiewicz and is all held together by quotes and lyrics by Jimi. The November 2018 Electric Ladyland 50th Anniversary box set includes these Drake Hotel recordings as well as some other home base recordings. 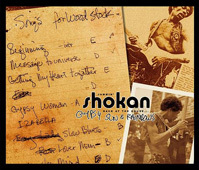 The Dagger Records album "Morning Symphony Ideas" (see Studio Releases 2000 section) features two personally taped recordings from Jimi. "Scorpio Woman" is 20 minutes of various songs/themes intertwining. The track "Acoustic Demo" unfortunately only lasts 68 seconds. 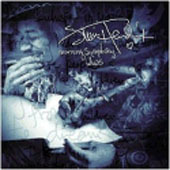 As mentioned above, some previously unreleased home recordings turned up on the 2010 box set "West Coast Seattle Boy". 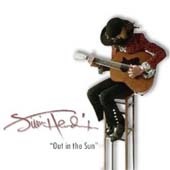 Some solo acoustic doodlings can be heard on bootlegs such as Out In The Sun and Acoustic Jams (only a few are in fact acoustic on the latter). of them relaxing and playing together, doodling,...never intended for our ears). 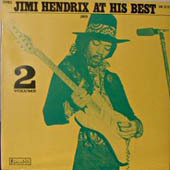 In 1970, while Jimi was putting together a new studio album, he was also developping ideas for his "Black Gold Suite". 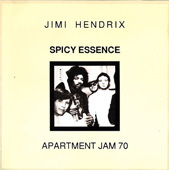 A home demo tape is in the possession of the Hendrix estate and we impatiently await its release (a future Dagger?). 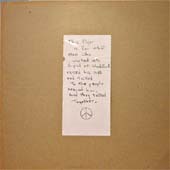 One teaser track "Suddenly November Morning"/"Drifting" was included as the coda on the 2010 "West Coast Seattle Boy" box set. This should really be in the Unofficial Releases section but it makes more sense here. A ridiculous title for these strange low-fi recordings from a series of loose home jams with pianist Mike Ephron and percussionist Juma Sultan at Jimi's rented house in Shokan near Woodstock in 1969. Some tracks had been featured way back on a bootleg called "This Flyer..." (see below). This is all very relaxed, the musicians simply freely throwing ideas around and having fun. Hendrix and Ephron doodle and amble around without any real direction, which is okay really, as this wasn't performed for anyone. Ephron plays an electric harpsicord or clavecin I believe and unfortunately it sounds more like a childs toy piano, worsened by the fact that he seems to play in the wrong key most of the time. At times, the whole thing sounds like a bunch of amateurs trying in vain to make music ! This is all quite "interesting" to a researcher like myself, but not at all recommended casual listening. 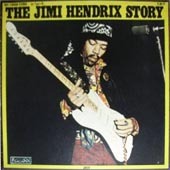 David Shadwick's excellent book "Jimi Hendrix - Musician" summed up the recordings in this way: "The most arid and worthless musical adventure that Hendrix ever had the misfortune to be involved in". 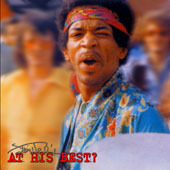 The title of the album should read "Jimi Hendrix At His Worst". 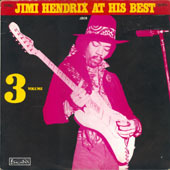 Some of these recordings were also put out at some stage as "Jimi Hendrix '64". In his superb book on Hendrix, Charles Shaar Murray points out that Ephron, who owned the tapes, had dated the sessions 1964 to avoid being hassled by Yameta or PPX over publishing rights. 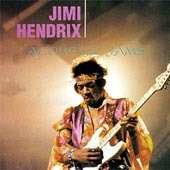 She Went To Bed With My Guitar - Here, Jimi improvises on "Tryin' To Be" (an embryonic "Stepping Stone") even putting in a rather out of key vocal. Soon after, at the Woodstock festival, he would use a similar phrasing in the jam around "Voodoo Chile (Slight Return)". Free Thunder - Begins with a hint at "Gypsy Boy"/"Hey Baby" before going off into abstract improvisation. Cave Man Bells - Juma plays dense percussion and bells as Jimi makes his guitar grown and rumble. Strokin' A Lady On Each Hip - Begins as "Villanova Junction" with some very nice work from Jimi, then falls into doodlings. Baby Chicken Strut - This short track is trance-like mayhem. Down Mean Blues - Things get refreshingly "down home" here as Jimi puts in some neat blues licks. 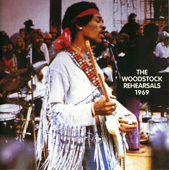 Feels Good - We hear Jimi chatting to the others here at the beginning, then things get under way with someone on flute. It floats along in a very spacey manner and Jimi improvises a vocal at one point "See me cryin, beyond the sky ...". Fried Cola - Begins a bit loose before Jimi plays some funky rhythms alongside Jumas pulsating congas. Monday Morning Blues - This warbles in, then Jimi goes into a blues again and puts in another vocal. As it ends he suggests that they stop and listen to the recording. Jim Is tender Too - Another meandering jam around a basic blues riff. Madagascar - Sounds like the same jam as "Cave Man Bells", lots of percussion and some Marimbula from Ephron I presume. Swifts Wing - Juma patters away as the others dribble drabble over the top. What were they on ? Jimi then plays some interesting rock solos. Spiked With Heady Dreams - Return of the flute and aimless doodles. Jimi sings again, "Here I go flying, what am I looking for... ooh feels good..."). 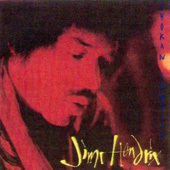 Giraffe - Jimi plays a slow descending riff which he later worked into the ending of "Burning Desire". > A big thank you to Carl for his help in archive research on this set. 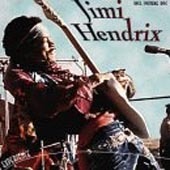 Another release of the tapes titled "The Jimi Hendrix Story" ! The height of ridicule. A re-release (Volume 1) with a superb Santa Clara 1969 photo. The so-called Mike Jeffrey estate also exploited the Epron tapes. 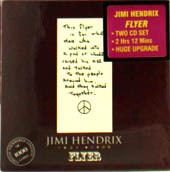 First in 2008 as part of a 6CD set titled Jammin' With Jimi, and then in 2012 as a 2CD stand-alone edition titled simply Flyer, inspired by the old vinyl bootleg This Flyer (see Unofficial Releases > Radioactive). "This flyer is for that man who walked into a pad at Woodstock, raised his axe and talked to the people around him and they talked together." 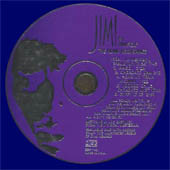 The ATM fan disc version of the Ephron jams with a hilarious cover, "Jimi Hendrix At His Best ?" Other bootlegs and fan-made collections feature many recordings from the Shokan house little or no participation from Ephron and his awful keyboards. The bulk of material features Jimi with his Gypsy Sun & Rainbows buddies just doodling around, in preparation for the Woodstock gig. These collections overlap in the most confusing way with some tracks having two or three different titles for the same thing (Drinking Wine = Key To The Highway, Juma Jam = Flute Jam, Instrumental Jam = Jam With Mitch, etc.,...). Also, "Summer Jam", "Jimi's Tune", "Villanova Junction", "Here Comes The Sun", "Drinking Wine"(#2) and "Message To The Universe" are in fact all part of one continuous jam that is broken just to fool you. Mixed up in all this are recordings that are presented as the Taj Mahal (appartment) Jams, though it is thought that the recordings might also be from the Shokan tapes and have nothing to do with Taj Mahal at all. "I got my own world to live through and I ain't gonna copy you"